With a horticultural interior theme and a homegrown menu selection, grounded is precisely how I feel every time I step foot in this new East London cafe. It’s recently become a weekend non-negotiable for my husband and I. Even if I don’t have time to enjoy their freshly baked sourdough and perfectly soft poached eggs, I’ll compromise by picking up an organic coffee and carrot and apple muffin. It’s pretty much my favourite thing in the world right now – so yum and nutritious, and keeps me going through all my Saturday afternoon classes! The Grounded team really won me over when they opened early so I could pop in for a green smoothie before hopping on the tube for my morning commute. When I move to Southwest London in two weeks, I may just to ask them to come with! Ever envied the glowing skin and glossy hair of the Danes? 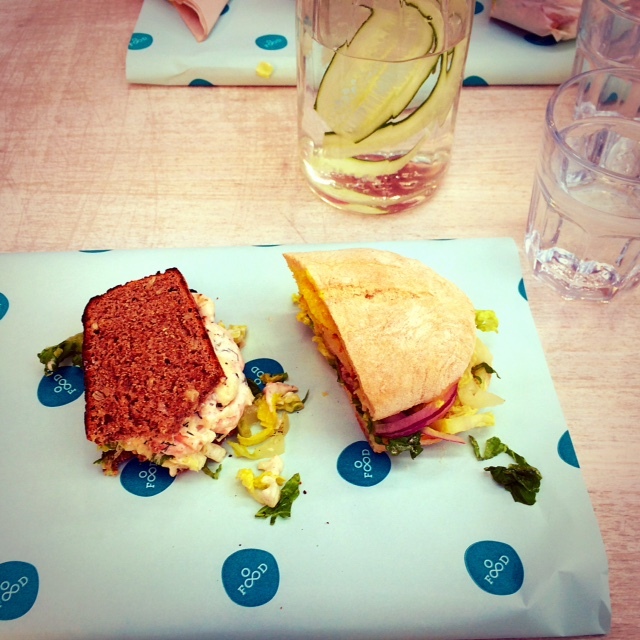 Steal a trick from their (recipe) book and check out this Copenhagen-inspired sandwich cafe in Spitalfields. Lots of organic bread variations, protein-packed fillings and innovative dressings transform this little known gem from a typical sandwich bar to a feel-good food destination that won’t offset your healthy eating habits. For a balanced weekend treat, I went for the Prawn Star on Rye (Don’t think cauliflower goes in a sandwich? You have to try it to believe it! ), and split half with my husband’s Hook on Sourdough (traditional fish frikadelle with dill tartar; one of the more indulgent options on the menu). 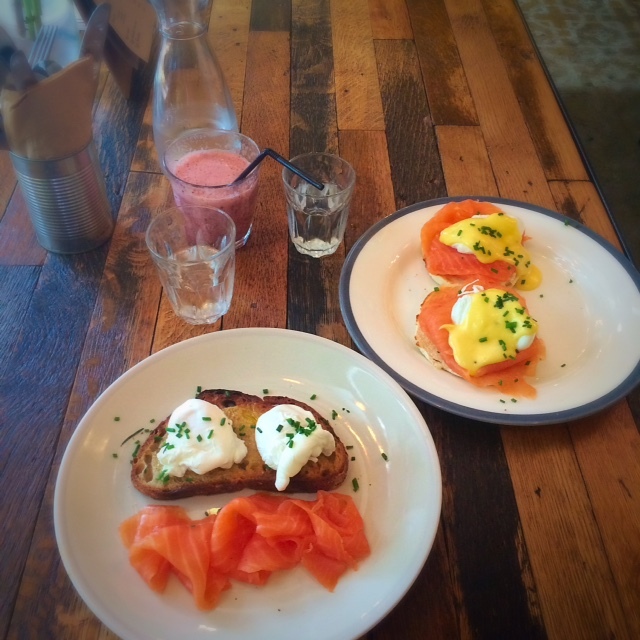 All washed down with complimentary cucumber water – a nice touch that doesn’t go amiss! I have to admit, my recent experience at this much-talked-about Australian restaurant almost exclusively inspired me to book a holiday to the land down under this autumn. Its good reputation is very well-deserved, with innovative small plates served up in a beautiful warehouse setting that’s just oh-so-London. I practically melted with love for the Chickpea Chips with Chipotle Ketchup. They also served a special Miso-Roasted Aubergine that was so good I tried to replicate at home (with some success, too – give it a try here). 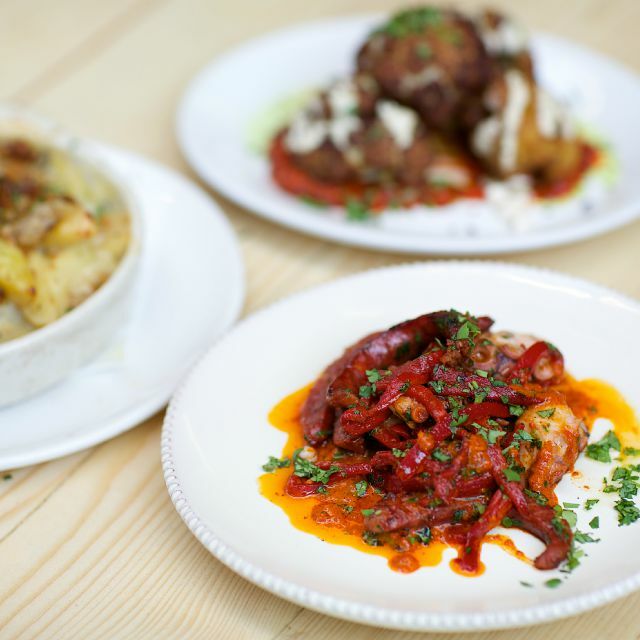 It’s easy to be virtuous here and pick from the many yummy lean fish and salad plates, but I do recommend treating yourself with a couple naughty plates – it would be a crime to miss the Smoked San Simon Cheese and Jamon Croquettes. And do polish off your meal with a coffee. Be warned: it’s both delicious and very strong. Great before a tough HIIT workout (just give the croquettes some time to go down first). Fancy lunch on a porch swing, with homestyle cooking and a side of home interiors inspiration? 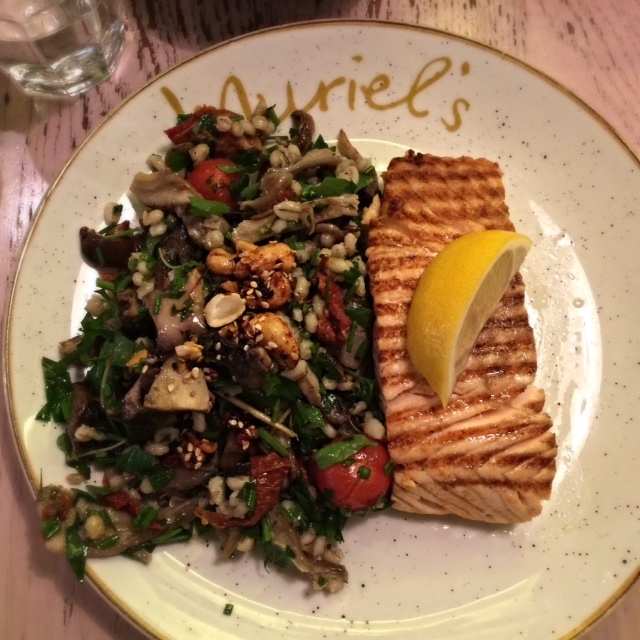 Then head to Muriel’s Kitchen in Soho and sample the ever-changing daily salads with a protein selection of your choice – the Salmon Steak is my favourite and the portion is always very generous. The nutty mushroom salad pictured here was the perfect accompaniment, and fully convinced me to give mushrooms more credit beyond their cameo appearance in my weekly stirfry. The brainchild of two LA-inspired entrepreneurs, The Good Life Eatery opened two years ago and quickly became a Chelsea institution and Instagram sensation. 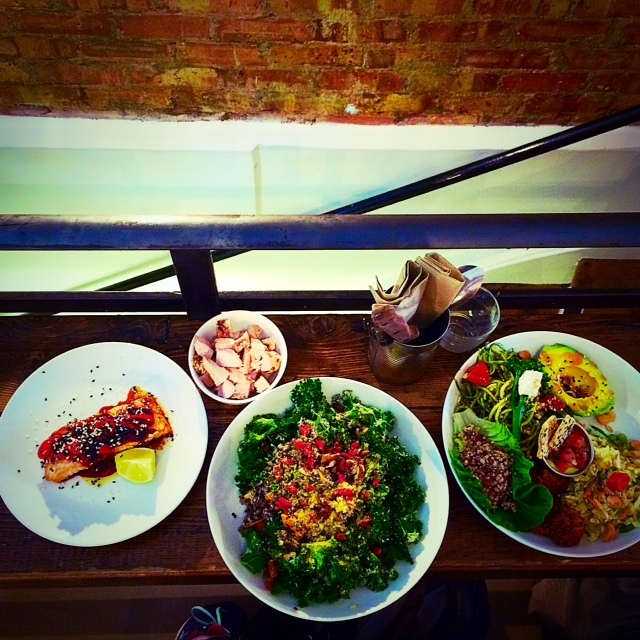 Superfood salads, healthy Bowls, energising Smoothies and guilt-free Desserts like raw peanut butter brownies attract health-conscious Londoners from far and wide. Substantial portions and inspiring ingredients keep them coming back for more. Insider tip: If you’d like to work with me, you can invariably lure me into a meeting with an invitation to the Good Life Eatery. See you there! Where’s your favourite place to tuck in to health-enhancing chow? If you think I’ve missed an unmissable eatery, help me expand my horizons and leave a comment below ;). Thanks for reading! I’ve been looking via the internet over four hrs today, but I never stumbled on any sort of attention-grabbing document such as the one you have. It’s stunning worth enough I believe. In my opinion, if all of site owners and bloggers crafted excellent material materials you did, the net might be a lot more useful than everbefore.I’ll book mark this page !! Will surely go through all over again !! Thanks on your worthwhile info. Thanks for your lovely comment Angel! I will be starting a regular newsletter soon, so please do subscribe if you’d like to stay up to date with my content, blog posts & events!